Marcos Rangel spins fire poi. SHREVEPORT, Louisiana – Fire poi spinner Marcos Rangel with Spinner Entertainment will also perform fire staff at Marlene Yu's 80th Birthday Gala. The deadline to receive two free raffle tickets with early RSVP has been extended to Friday, September 22, 2017. The event will be on Saturday, September 30, 2017 from 6:00 p.m. to 9:00 p.m. to benefit the Marlene Yu Museum at 710 Travis Street, Shreveport, Louisiana 71101. According to TheMaori.com, fire poi spinning involves spinning a tethered, weighted wick in various geometric patterns. It is a variation on traditional poi performance which originated with the Maori people of New Zealand. It was used as a means of improving flexibility and balance for battle as well as in dances and storytelling. Fire staff performances use a staff made of wood or metal that has Kevlar wicks attached to one or both ends. Gala tickets are available at http://www.marleneyumuseum.org/gala/ and (318) 717-9111, and include full open bar, 6-course dinner, and entertainment. Proceeds benefit the Marlene Yu Museum. Marcos Rangel has been performing flow arts for about six years. 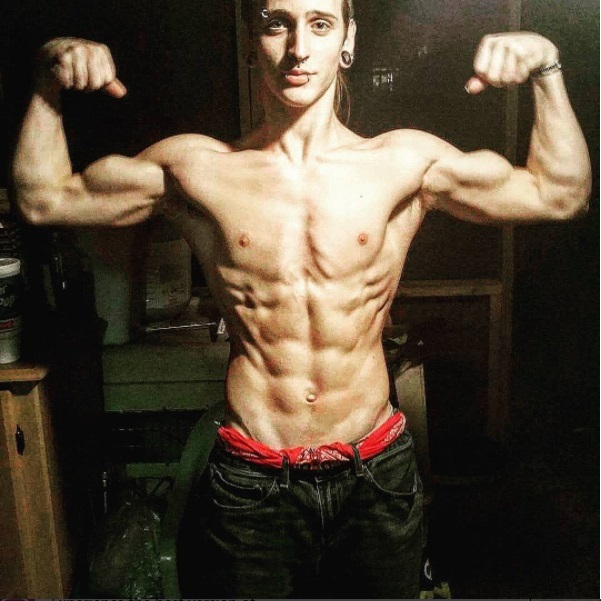 He started out with parkour and free running and expanded slowly into circus arts. Rangel started spinning poi in his back yard practicing with socks and glow sticks in 2009, then he learned fire poi as a freshmen in highschool a year later. He honed his art watching video tutorials, and when he wasn't in his back yard practicing, he was traveling across the U.S. and learning at festivals, workshops, and private lessons. During his travels, he met with flow and circus artists at fire festivals, International Juggling association, and small parties with some of the most skilled glowstringers. Rangel expanded into the fire aspect of the arts to create a more entertaining and thrilling show for his viewers and himself. His favorite part of performing is the audience's reaction to the show. Spinner Entertainment, LLC is the newest talent agency in the Shreveport-Bossier City community. It connects clients with a wide variety of local, regional, and national entertainers and variety performers. The talented performers affiliated with Spinner Entertainment include: jugglers, stilt walkers, fire spinners, dancers, circus performers, magicians, costumed characters, and more. Marlene Tseng Yu is a world-renowned abstract expressionist of nature in large-scale paintings and a pioneer in the environmental green movement in art. As of April 2016, she has had 80 solo exhibitions in the United States, Europe, and the Far East, and her art has been reviewed in 9 languages in more than 200 publications, by numerous art magazines, newspapers, TV, and radio shows, such as ARTFORUM, Art in America, Art News, World Journal, and Barbara Walters’ Today Show. To find other artists who share their love of nature through art, she founded the Rainforest Art Foundation, which is headquartered in Shreveport, and has branches in New York City, Zurich, and soon Frankfurt. While Marlene’s paintings are included in over 1000 public and private collections, the recent establishment of her own museum in Shreveport, Louisiana, the Marlene Yu Museum, showcases the historical relevance of her life's work and over 4000 paintings across 35-plus series. She is able to do commission work according to requirements of architectural projects as large as 54 feet. Joel Matlock trains often to keep himself in top form. SHREVEPORT, Louisiana – Local parkour jumper Joel Matlock is to debut his martial arts style All Angles Martial Arts and Chef Anthony Felan reveals one of his six courses for his themed, plated dinner at Marlene Yu's 80th Birthday Gala. The event will be on Saturday, September 30, 2017 from 6:00 p.m. to 9:00 p.m. to benefit the Marlene Yu Museum at 710 Travis Street, Shreveport, Louisiana 71101. According to dictonary.com, “parkour is the activity or sport of moving rapidly through an area, typically in an urban environment, negotiating obstacles by running, jumping, and climbing.” It requires an immense amount of strength and adaptability. Joel Matlock stretches in his backyard after training. Chef Anthony Felan's oyster dish presented on marble and pink stones inspired by Marlene Yu's Pink Marble paintings. Succulent, raw oysters will be bedded under a blanket of seaweed and bathed in colorful wasabi tobiko. The dish is to be served with sour yuzu mignonette sauce, atop pink and marbleized rocks inspired by Yu's art. Gala tickets are available at http://www.marleneyumuseum.org/gala/ and (318) 717-9111, and include full open bar, 6-course dinner, and entertainment. Proceeds benefit the Marlene Yu Museum. RSVP by September 16 for two free raffle tickets. Joel Matlock began martial arts training at approximately five years old, beginning with karate. He was introduced to taekwondo and kung fu in his teenage years. Matlock's love of parkour developed at the age of 10 when he watched the World Parkour Championship for the first time. The next day he started his long journey into the world of parkour. His ambition with All Angles Martial Arts is to create a style that is diverse and perpetually changing, drawing from parkour's adaptive and reactive nature and combining it with his martial arts foundation. Matlock's goal is to one day make a living from his talents and be like Bruce Lee. Chef Anthony Felan is a graduate of Le Cordon Bleu College of Culinary Arts in San Francisco, and returned with his wife and son to their Northwest Louisianan roots for family and in 2010 as Sous Chef at Wine Country Bistro, where he quickly moved up to Executive Chef. He recently made a long-time dream a reality by creating the underground 2nd Act Supper Club as his side project. Members commit to dinner without knowing the location or menu beforehand, encouraging them to try new foods and be in the company of new people who share their passion for creative food in historically significant buildings. 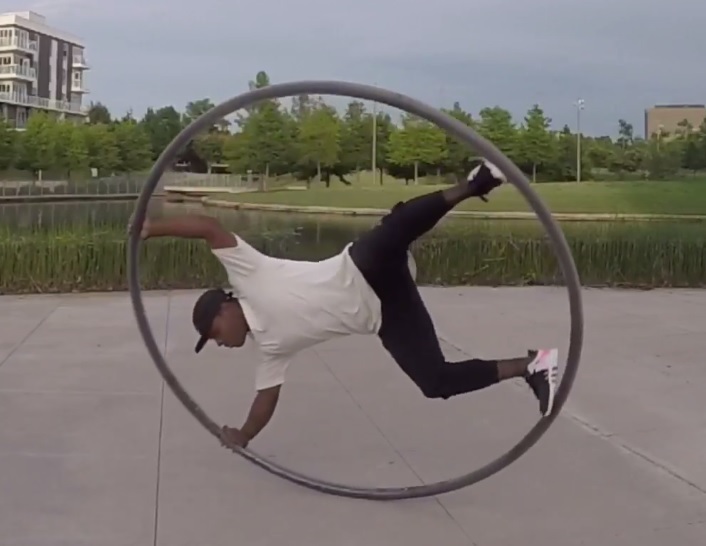 Click for a video of Chapman's Cyr wheel skills! SHREVEPORT, Louisiana – Cyr wheel acrobat Frank Chapman with Spinner Entertainment is preparing a special choreography for Marlene Yu's 80th Birthday Gala at Marlene Yu Museum on Saturday, September 30, 2017 from 6:00 p.m. to 9:00 p.m. to benefit the Marlene Yu Museum at 710 Travis Street, Shreveport, Louisiana 71101. Chapman's strength and confidence in the air have earned him the nickname “Spider-Man” among other acrobatic enthusiasts. With a background in the Marines and training alongside the best of Cirque du Soleil in Los Angeles, Chapman gives an illusion of weightlessness that reflects his aerial talents. Ticket info can be found at http://www.marleneyumuseum.org/gala/. Frank Chapman is a Texas transplant, Marine circa 2008, and visual and performing artist who has spent years training with the best of Cirque du Soleil in Los Angeles, California. After moving to Texas, Frank began to train in other aerial arts, including but not limited to Cyr wheel acrobatics, hand balancing, aerial hoop, and traveling gymnastics rings. In 2017, Chapman competed in the San Antonio City Qualifiers of the obstacle course competition series American Ninja Warrior. SHREVEPORT, Louisiana – Port Belly Project will do a veil dance for unveiling of Marlene Yu's Pink Marble Paintings as well as sword-balancing at Marlene Yu's 80th Birthday Gala at Marlene Yu Museum on Saturday, September 30, 2017 from 6:00 p.m. to 9:00 p.m. to benefit the Marlene Yu Museum at 710 Travis Street, Shreveport, Louisiana 71101. Port Belly Project draws from dance forms that are tribal in nature and from different regions of the world. These forms are fused with modern dance traditions to create a dance form that honors both the old and the new. Port Belly Project's improvisational dance style creates a truly unique dance as each member of the troupe takes a turn as a leader of the group, giving cues to the other dancers who follow suit. Once the music stops, the audience has witnessed a completely one-of-a-kind dance, never to be repeated. Port Belly Project was founded in Shreveport in 2005 and remains the original tribal fusion, improvisational style, Bhangra and Bollywood dance troupe in Northwest Louisiana. Port Belly Project was formed to provide dance instruction and performance opportunities as well as to educate the public about these beautiful and traditional dance forms. SHREVEPORT, Louisiana – Chef Anthony Felan of Wine Country Bistro and 2nd Act Supper Club is preparing dinner for Marlene Yu's 80th Birthday Gala on Saturday, September 30, 2017 from 6:00 p.m. to 9:00 p.m. The event benefits the Marlene Yu Museum at 710 Travis Street, Shreveport, Louisiana 71101. Sponsorship and tickets will be available on August 1, 2017. Felan's passion for farm-to-table and from-scratch cooking is evident in his close work with several local farms, including Mahaffey Farms, Smith Family Farms, Shady Grove Ranch, Doodley Dee’s Farm, Flowing Hills Creamery, and Haute Goat Creamery. His cuisine for the milestone dinner will channel this passion and draw inspiration from Marlene Yu's work. Being featured as the culinary artist for Marlene Yu's 80th Birthday Gala marks the most recent in an upward trajectory of Felan's successes. In 2015, he was nominated for the “Best Chefs of Louisiana” by the American Culinary Federation New Orleans, and was voted by Shreveport as “Best Chef of NWLA” in 2016. In June 2017, he was first runner up in the statewide “Louisiana Seafood Cookoff” in Lafayette. Felan has also been involved in Slow Food Louisiana's urban youth gardens and special dinners celebrating regional heirloom and historically relevant foods. Tickets are now available at $125 for Marlene Yu's 80th Birthday Gala on Saturday, September 30, 2017 from 6:00 p.m. to 9:00 p.m. Sales will benefit the Marlene Yu Museum at 710 Travis Street, Shreveport, Louisiana 71101. Individuals planning on attending should RSVP to (318) 717-9111 or www.MarleneYuMuseum.org by September 27. Those who RSVP by September 16 will receive 2 free raffle tickets. The evening gala features a themed dinner by Chef Anthony Felan, cyr wheel acrobatics and fire poi spinning by Spinner Entertainment, sword-balancing tribal bellydancers of Port Belly Project, the debut of a local parkour jumper from All Angles Martial Arts, full open bar, raffle and door prizes. Chef Anthony Felan adds, "To celebrate Marlene Yu, we will merge Southern food with Taiwanese food, highlight all of her exhibits from Forces of Nature to Elements of Life, step outside of our regular restaurant settings, and bring it all to life on a plate to showcase the art, the food, and the whole background of Marlene Yu for one night: her 80th birthday." SHREVEPORT, Louisiana – Marlene Yu's 80th Birthday Gala will be on Saturday, September 30, 2017 from 6:00 p.m. to 9:00 p.m. to benefit the Marlene Yu Museum at 710 Travis Street, Shreveport, Louisiana 71101. Food and entertainment will be provided. Sponsorship and tickets will be available on August 1, 2017. Marlene Yu with “Pink Marble in Hot Spring I, II, III, IV” 2016, Canyon and Red Rock Series, acrylic on canvas, quadriptych 20 x 40 feet, 610 x 1220 cm. Marlene Yu Museum is a 501(c)3 nonprofit with the mission to preserve, present, document, and interpret the life and art works of Marlene Tseng Yu. For more information, visit www.MarleneYuMuseum.org. Shreveport, LA – Marlene Tseng Yu will be the first artist to kick off the fall 2016 series of The Glen Retirement System’s Artist of the Month with a selection of artwork from Yu’s Forces of Nature Series. Rainforest Art Foundation Executive Director Stephanie Lusk will speak to residents and the public during an artist reception at 2 p.m. Sept. 23 at The Glen. Lusk will discuss the origin of Forces of Nature Series and how seniors can see the emotions of nature in the artwork. The reception is free and open to the public. Lusk said she was eager to partner with The Glen as part of the Marlene Yu Museum’s 1UP goal to exhibit artwork outside of the downtown Shreveport location. The Forces of Nature Series is a part of the larger goal to make Yu’s art and work accessible to more people, including schools and retirement living communities, such as The Glen. Yu, a native of Taiwan and participant in the New York City art scene for much of her life, founded the Rainforest Art Foundation to raise environmental awareness through art. She is now honored by the Marlene Yu Museum in downtown Shreveport, one of the few museums in the nation dedicated to preserving and curating the work of a single artist. The Forces of Nature Series is Yu’s major series spanning over 50 years of work, that relate to natural disasters and the elements. Learn more about The Glen’s Artist of the Month by calling 318-798-3500. For more information on the Marlene Yu Museum, go to the museum’s website at http://www.marleneyumuseum.org/. SHREVEPORT, La., August 3, 2016 – The Marlene Yu Museum’s Three Sisters Sustainable Urban Farm Discovery Program, directed by Rebekah White, provides a tangible experience for 2nd grade students from Forest Hill Elementary to learn fundamentals of creating and sustaining our food supply in a harmonious way with nature this fall at the Museum. “As a parent and educator, I really like the fact that our kids can come to the Museum and be able to express their love of nature and science through art,” said Cheri Knoebel of Forest Hill Elementary School. This project is supported by a grant from The United Way of Northwest Louisiana Grant Fund of The Community Foundation. This project is also supported by a grant from the International Paper Foundation. The Marlene Yu Museum is a 501c3 non profit with the mission to preserve, present, document, and interpret the life and art works of Marlene Tseng Yu. The Museum is located at 710 Travis Street, Shreveport, LA 71101. For more information, please visit www.marleneyumuseum.org or call (318) 717-9111. SHREVEPORT, La., May 11, 2016 – The Marlene Yu Museum presents a dance performance titled “Sabra” at 710 Travis Street, Shreveport, LA 71101, on May 28, 2016 at 7:30 pm. The 45-minute performance will be followed by a reception and meet and greet with the dancers featuring a cash wine bar and complimentary refreshments. This is a free event with a suggested $10 donation to benefit the Marlene Yu Museum and the dancers. Bailey Harper has created a site-specific performance, exclusively for the Marlene Yu Museum. “Sabra” will fill the museum with curiosity, exuberance, and love. Currently located in Denver, Colorado, Harper grew up in Shreveport, and wanted to return to the place of her roots to produce a show with this level of intimacy. Classically trained dancers, Bailey Harper, in collaboration with Kimberly Chmielewski, say the performance will be a mixture of their roots in ballet and modern, spiced with other influences, creating a truly unique experience for artist and audience member alike. “Come take a walk with me, better yet, come dance with me. Together, let us explore the beauty of our relationships with one another and to this earth. Let’s dance about love, our family, and our lives. Let’s share this incredible space together,” says Harper of the performance. MYM is a 501(c)3 non profit with the mission to preserve, present, document, and interpret the life and art works of Marlene Tseng Yu, a world-showing abstract expressionist painter and pioneer in the environmental arts movement. “Water” is currently showing in the Museum, featuring water- and ice-themed selections from Yu’s collection of over 4,000 paintings across 3 36 series of works. For a more detailed description of the performance and information, please visit www.marleneyumuseum.org. SHREVEPORT, La., April 27, 2016 – The Marlene Yu Museum is offering a free lunch to the public as a part of Give for Good 2016. The event will be on May 3, 2016 from 11:30 am – 2:30 pm at 710 Travis Street, Shreveport, LA 71101. Door prizes will be given out each half hour and donation stations will be available throughout the event. Featured food includes New Zealand mussels, cocktail shrimp, purple rice with edamame, pork dumplings, Chinese sausage, curry chicken, and veggies. All proceeds raised during the Give for Good event will benefit the Museum’s 1UP Fundraiser taking place through the end of May. Funds raised through 1UP will go towards the renovation of the stairs and second floor of the Museum where more of Yu’s work will be permanently displayed, as well as make the Museum more accessible on local, regional, and international levels. Give for Good is a 24-hour online giving challenge led by The Community Foundation of North Louisiana to raise unrestricted dollars for the nonprofits in our community. It is a day of giving to celebrate the nonprofits in the community and a chance to raise thousands of dollars to make the community even better. The Marlene Yu Museum is a 501c3 non profit with the mission to preserve, present, document, and interpret the life and art works of Marlene Tseng Yu. “Water – Element of Life” is currently showing in the Museum. The Museum is located at 710 Travis Street, Shreveport, LA 71101. For more information and hours please visit www.marleneyumuseum.org or call (318) 717-9111. SHREVEPORT, La., December 15, 2015 – The Marlene Yu Museum will present the Marlene Yu Fashion line featuring selected Marlene Tseng Yu paintings at their Thursday, January 21, 2016, 5:30 p.m. to 8:30 p.m. Preview Gala to celebrate the Museum’s one-year anniversary alongside the "Water - Element of Life" exhibit. The line will include dresses, scarves, neckties, and bow ties with various nature themes. Depending on availability, customers may place their orders in advance to receive them in time to wear to the Preview Gala. Early bird tickets are $125 ($150 at the door). A first look of part of the fashion line will be presented at the “Cosmic Cowgirls” Fashion Show to be held at the Museum on December 18, 2015 at 5:00 p.m., with 5:30 p.m. show time and reception to follow. The show features cosmic inspired designs from By Ann Collections. The event is free with suggested $10 donation to the Museum. For more information about the Marlene Yu fashion line or to place an order please call (318) 717-9111 or email MarleneYuMuseum@gmail.com. The Marlene Yu Museum is a 501(c)3 non profit organization with the mission to preserve, present, document, and interpret the life and works of Marlene Tseng Yu. For more information visit www.MarleneYuMuseum.org. SHREVEPORT, La., October 19, 2015—Fashion show titled “Cosmic Cowgirls” will take the runway at the Marlene Yu Museum Friday, December 18, 2015 from 5:30 – 7:30 pm. The Museum is located at 710 Travis Street, Shreveport, LA 71101. Tickets are $10 and available for purchase before the event or at the door. The featured pieces are designs from “by Ann Collections” designed by Ann Chandler. Pieces inspired by Marlene Yu paintings will also show. Seating will begin at 5:00 pm with the show starting promptly at 5:30 pm. Refreshments will be available for purchase before the show and during intermission. Admission tickets for 12 years old and over are available at www.MarleneYuMuseum.org and (318) 717- 9111. Tickets are also available in person at Ciao Bella through December 14. The Marlene Yu Museum is a 501(c)3 non profit with the mission to preserve, present, document, and interpret the life and works of Marlene Tseng Yu. For more information please call (318) 717-9111 or visit www.marleneyumuseum.org. Special public programming will be provided as well in honor of National Environmental Education Week and Earth Day. SHREVEPORT, La., March 17, 2015 – The sixth exhibition of Marlene Tseng Yu’s Lucky Sevens opened March 17 at Sci-Port: Louisiana’s Science Center in Shreveport. Melting Glacier Series will show through April 26, accompanied by several educational and thematic programs in honor of National Environmental Education Week on April 25 and 26 at Sci-Port, and an Earth Day celebration on April 22 at nearby Rainforest Art Foundation. The Lucky Sevens is a series of seven different exhibitions at seven local venues in honor of Yu’s 77th year. Yu, a native of Taiwan and participant in the New York City art scene for much of her life, founded the Rainforest Art Foundation to raise environmental awareness through art. She is now honored by the Marlene Yu Museum in downtown Shreveport, one of the few museums in the nation dedicated to preserving and presenting the work of a single artist. Yu states, “[Glacial melting] is my favorite subject. Without my realizing it, the series reflects what has become one of the most important issues today, as human lifestyles and habits increase global warming and cause glaciers to melt rapidly. I hope through my art to convey the urgent message—Earth is in danger, please let us protect it together.” Yu began the Melting Glacier Series in 1965 and continued through 2008. The first five exhibitions in the Lucky Sevens took place at the Louisiana State Exhibit Museum, Robinson Film Center, Artspace, Meadows Museum of Art, and the Marlene Yu Museum. The Dream Series currently at the Meadows Museum shows through May 3, and Forces of Nature currently at the Marlene Yu Museum shows through May 31. During its time at Sci-Port, Lucky Sevens will be celebrated with special public programming provided at the Shreveport science museum, along with related items available in the Discoveries Unlimited Gift Shop. Programs will feature arctic mammal ecology (Blubber Mitts), the science of glaciers (Glacier Gloop), and the importance of keeping pollution out of our watersheds (What’s My Watershed?). The Earth Day celebration at RAF will take place April 22 from 4:30-7:30 pm with free admission with suggested $10 donation. At 5:30 pm, Bayou to Bay will give a presentation. Live music by Twang Darkly, and complimentary refreshments as well as food for purchase will be available by culinary artists such as Simply Cotton Candy. Sci-Port: Louisiana’s Science Center is a 92,000 square-foot science and entertainment center featuring 290 hands-on exhibits, 70 interactive programs and demonstrations, a Space Center and Space Dome Planetarium, IMAX Dome Theatre, gift shop and café. Bayou to Bay (B2B) is a program of Sci-Port with a mission to improve the health of children and waterways through education, action, and play. The Marlene Yu Museum is a 501c3 non-profit with a mission to preserve, exhibit, document, and interpret the life and works of Marlene Tseng Yu. For more information visit www.MarleneYuMuseum.org. The Rainforest Art Foundation is a 501c3 non-profit with a mission to increase appreciation of nature through art. For more information visit www.RainforestArtFoundation.org. SHREVEPORT, La., March 3, 2015 – The Marlene Yu Museum has received a Matching Grant Challenge from an anonymous donor of up to $25,000. All donations now until March 20 will be leveraged by a 100% dollar for dollar match and go directly towards much needed bricks and mortar construction building expenses at the Museum. Additionally, the Rainforest Art Foundation will work with Pandabit to do the Panda Challenge immediately following the end of the Matching Grant Challenge to honor Earth Day on April 22 with the promotion of recycling electronics. RAF was selected to be a part of the BETA testing for the Panda Challenge as one of only a few other organizations and causes participating. The participation represents a meaningful partnership for RAF and Pandabit because of shared environmental concerns. The Panda Challenge is the newest evolution of crowdfunding, following the success of sites such as Kickstarter, GoFundMe, and IndieGoGo. The Panda Challenge is a new fundraising website that allows organizations and causes to promote donations of cell phones, iPods, and tablets to raise money. Organizations and causes can challenge their followers via social media posts that include a link to their custom Panda Challenge page. Once they arrive to the Panda Challenge page the user will find their device and request a free shipping kit. Pandabit will then send out a shipping kit with a prepaid return package at no cost to the donor, making it easier than ever to make environmentally friendly decisions. To donate to the Marlene Yu Museum Matching Grant Challenge by March 20, please visit www.MarleneYuMuseum.org, mail a check payable to Marlene Yu Museum to 710 Travis St., Shreveport, LA 71101 with ‘match’ as the memo, or call (318) 717-9111. On March 21, visit www.RainforestArtFoundation.org and like the Foundation on Facebook at www.facebook.com/rainforestartfoundation to learn more about and donate to the Rainforest Art Foundation Panda Challenge before Earth Day, April 22. The Marlene Yu Museum is a 501(c)3 nonprofit organization with the mission to preserve, present, document, and interpret the life and art works of Marlene Tseng Yu. The Rainforest Art Foundation is a 501(c)3 nonprofit organization with the mission to increase appreciation of nature through art. Both MYM and RAF will also be participating in The Community Foundation of North Louisiana’s Give for Good 2015 on May 5. It is one day of online giving for community members to support local organizations. For more information visit www.giveforgoodnla.com. Marlene Tseng Yu Self Portrait in front of "Winner Takes All"
SHREVEPORT, La., February 4, 2015— The Rainforest Art Foundation partners with the Meadows Museum of Art at Centenary College in exhibiting Marlene Tseng Yu’s The Dream Series from February 21 through May 2, 2015. The public is invited to a free opening reception for the artist on Saturday, February 28 from 5-7 pm. Marlene Yu will speak about her artwork at 5:30 pm. The Dream Series by Yu is the fifth exhibition of the “Lucky Sevens” series, namely seven different exhibitions at seven local venues in honor of Yu’s 77th year. Yu, a native of Taiwan and participant in the New York City art scene for much of her life, founded the Rainforest Art Foundation to raise environmental awareness through art. She is now honored by the Marlene Yu Museum in downtown Shreveport, one of the few museums in the nation dedicated to preserving and curating the work of a single artist. Marlene Yu states, “The techniques may vary greatly from painting to painting, as to embody the scope of my expression. The reference to nature is the focus of all my paintings.” Many of her paintings, including those already exhibited throughout Shreveport, depict colorful abstractions based on natural forms. The Dream Series, created in the 1980s, is unusual in Yu’s large body of work, however. It is more representational than abstract, with a focus on nature and human relationships. In the Meadows’ exhibition, the female body is surrounded by animals that symbolize the male aspect, creating a dreamlike meditation on love. The Rainforest Art Foundation is a 501c3 non-profit with the mission to increase appreciation of nature through art. For information, contact: Iris MacLean, Public Relations at the Rainforest Art Foundation and Marlene Yu Museum, 318-840-5213, or irisrainforestart@gmail.com. For additional events, see www.marleneyumuseum.org and www.rainforestartfoundation.org. The Meadows Museum of Art is located on the campus of Centenary College of Louisiana at 2911 Centenary Boulevard in Shreveport, LA. The Museum is free and open to the public Tuesdays through Fridays from 11 am-6 pm and Saturdays from 12-4 pm. For more information or to schedule fieldtrips, call the Museum at 318-869-5040 or visit www.centenary.edu/meadows. This exhibition is the third show of 7 from her exhibition series entitled "Lucky 7s" which celebrates her 77th birthday and debut to Louisiana. 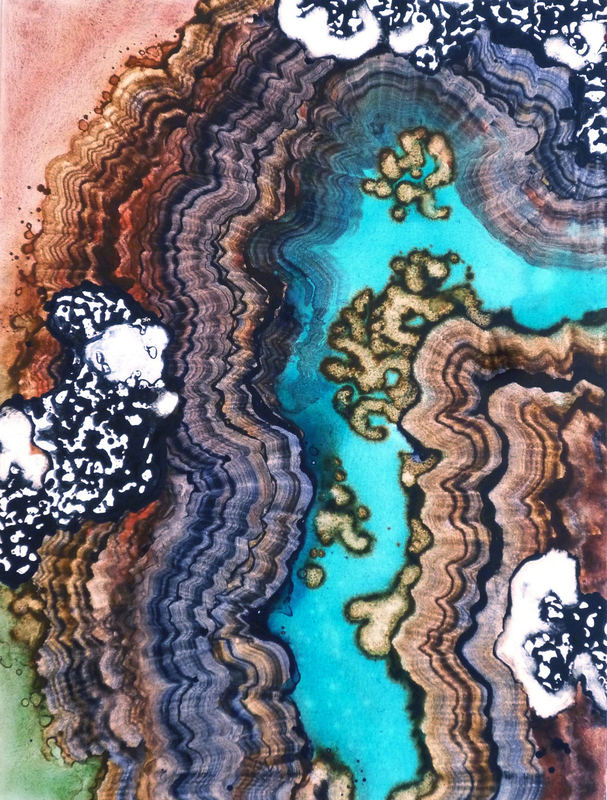 SHREVEPORT, La., Nov. 10, 2014 – Artspace Shreveport will display lava and fire inspired paintings from the Molten Lava, Space and Universe, and Forest Fire series by artist, Marlene Tseng Yu, in the “Fire: Element of Life” exhibition beginning Friday, Nov. 14 through Jan. 17, 2015. The paintings from these series to be displayed draw from the high temperature phenomena found at the core of the earth, on earth’s surface, and out in the universe. The exhibition will be located on the ground floor in the mainspace of Artspace, located at 710 Texas Street, Shreveport, LA 71101. The hours are Tuesday- Friday from 10:00 am to 5:00 pm, Saturday from 12:00 pm - 5:00 pm. The opening reception will begin at 5:00 pm until 8:00 pm on Nov. 14 with a $10 admission. Hors d’oeuvres, cash bar, and live music will be provided. Yu will be there for pictures, signings, and questions or comments. Notecards, postcards, and signed posters, prints, and books will be available for purchase throughout the exhibition from Artspace. The Rainforest Art Foundation and Marlene Yu Museum are partnering with the Louisiana State Exhibit Museum, Shreveport Regional Arts Council, Meadows Museum of Art at Centenary College, Bossier Arts Council, Robinson Film Center, and Sci-Port: Louisiana's Science Center for the "Lucky 7s." The "Lucky 7s" are Marlene Yu's 7 exhibitions in honor of her 70th solo exhibition in her 77th year at 7 local institutions. Marlene has designed 7 themed, non-overlapping exhibitions selected from her 4000+ paintings, more than 35 series of works, ranging from 16 inches to 37 feet long. The first show of the Lucky 7s, “Purple Swamp & Nature Abstraction,” was held at the Louisiana State Exhibit Museum from Sept. 25 - Nov. 10. The second, “Emerald Forest” opened Sept. 26 and will run through Nov. 29 at the Robinson Film Center in downtown Shreveport. Attendees are encouraged to bring their passport stamped at these first two locations to the opening reception to get their third stamp. Fully stamped passports will be redeemable for a collectible book. For more information please visit http://www.marleneyumuseum.org/lucky-sevens-dates or call 318-717-9111. SHREVEPORT, La., September 15, 2014—Vibrant paintings of a dreamy rainforest abstraction will make the journey to the Robinson Film Center for the second show of Marlene Yu’s “Lucky 7s” exhibition series entitled “Emerald Forest Series” from Sept. 26 through Nov. 29, 2014. Yu’s Emerald Forest series features works inspired by the rainforest, the movie titled “The Emerald Forest,” and humankind’s relation to nature. The paintings will be on display on the walls of Robinson Film Center’s in-house restaurant, Abby Singers Bistro. The Film Center is located at 617 Texas Street, Shreveport, LA 71101 and the hours are Tuesday-Saturday from 11:00 am-9:00 pm. Robert C. Morgan describes the series in his essay “Forest Raging: Paintings by Marlene Tseng Yu.” Speaking specifically about the painting, Emerald Forest, Morgan describes the colliding folds of the pyramid shapes as depicting the landscape of the Rainforest. The 1985 movie titled “Emerald Forest” tells the story of an American engineer, Bill, who loses his son, Tommy, in the Brazilian Rainforest. Tommy is adopted into an aboriginal tribe after they kidnap him, by rite of passage where he takes on the persona of a spirit animal. After searching for ten years, Bill finally finds grown-up Tommy, who refuses to go back into civilization. However, when Tommy's mate is then taken with other tribe women to work as slaves in a forest brothel, he returns to America, scaling a building (as if it were a tree), to get help from his father. The movie provides social commentary on mankind's invasiveness in nature and tribal communities. Yu’s paintings draw inspiration from the film's commentary. Exhibition attendees are encouraged to print a passport at www.marleneyumuseum.org/passport/ and bring it with them to each of the 7 shows to get stamped. Fully stamped passports may be redeemed at the Marlene Yu Museum at the end of the “Lucky 7s” in 2015 to earn a collectible book. The Rainforest Art Foundation and Marlene Yu Museum are partnering with the Louisiana State Exhibit Museum, Shreveport Regional Arts Council, Louisiana State Exhibit Museum, Meadows Museum of Art at Centenary College, Bossier Arts Council, Robinson Film Center, and Sci-Port: Louisiana’s Science Center for the “Lucky 7s”. The “Lucky 7s” are Marlene Yu's 7 exhibitions in honor of her 70th solo exhibition in her 77th year at 7 local institutions. Marlene has designed 7 themed, non-overlapping exhibitions selected from her 4000+ paintings, more than 35 series of works, ranging from 16 inches to 37 feet long. In honor of the future Young Artist Gallery to be housed inside the Foundation and Museum building at 710 Travis Street, Shreveport, LA 71101, the Foundation is now accepting donations from sponsors with the proceeds going to children’s programs and the renovation of the YAG room. To become a sponsor with recognition and various benefits packages please visit http://www.rainforestartfoundation.org/donate/ and click on the sponsor tab. For more information regarding the artist please visit www.marlenetsengyu.com. For more information regarding the Marlene Yu Museum and the “Lucky 7s” shows please visit www.marleneyumuseum.org. SHREVEPORT, La., August 20, 2014 – New York based artist Marlene Tseng Yu presents her 70th solo exhibition “Purple Swamp & Nature Abstraction” beginning September 25, 2014 at the Louisiana State Exhibit Museum in Shreveport, Louisiana. This will be her first show of the exhibition series the “Lucky 7s” in celebration of her 77th birthday during September. The exhibition will feature approximately 16 of Yu’s paintings from multiple series of work and kick off at 5:30 pm with the Marlene Yu Meet and Greet party with free admission. Print posters will be available for purchase, and Yu will be there for questions, photos, and commission requests. Yu spent 2014 traveling to Louisiana where her daughter and director of the Marlene Yu Museum (set to open in December), Stephanie Lusk, lives. During her travels, Yu has been to the Atchafalaya basin and Grand Isle where she learned of the devastation Louisiana’s gulf coastline is facing as it erodes. Lieutenant Governor Jay Dardenne invited her on these tours with the hope that it would inspire her to tell the story of Louisiana’s changing landscape and natural wonders through her abstract paintings. Yu now has five large paintings completed in her Purple Swamp Series with the largest being 8’x32’ titled, “Purple Swamp/Tiger Lily”. The show will feature these along with selections from other series including the Amber Glow Series, Cave Garden Series, Cave Treasure Series, Blue Lagoon Series, Turquoise Floating Series, and more. The Rainforest Art Foundation and Marlene Yu Museum are partnering with Shreveport Regional Arts Council, Louisiana State Exhibit Museum, Meadows Museum of Art at Centenary College, Bossier Arts Council, Robinson Film Center, and Sci-Port: Louisiana’s Science Center for the “Lucky 7s”. In honor of the future Young Artist Gallery to be housed inside the Foundation and Museum building at 710 Travis Street, Shreveport, LA 71101, the Foundation is now accepting donations from sponsors with the proceeds going to children’s programs and the renovation of the YAG room. To become a sponsor with recognition and various benefits packages please visit http://www.rainforestartfoundation.org/donate/ and click on the sponsor tab.